The kitchen of your home is the hub, it is where you spend most of your time, it is usually the one place people go to hang out. Therefore, it should provide the home with a great amount of lighting. This boosts moods and improves performance. 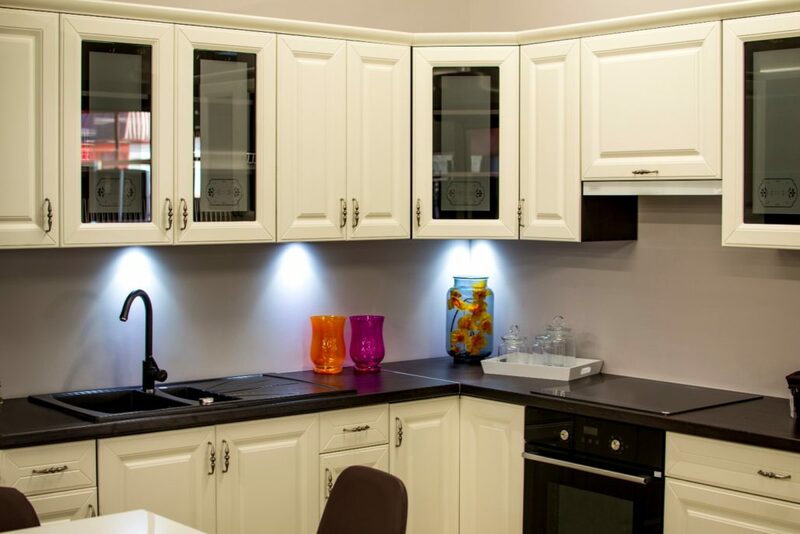 If the lighting in your kitchen is less than perfect, then it might be time to consider ways that you can improve the lighting overall. This will make a huge difference in the way the kitchen looks and feels. Use these ideas to really make the kitchen stand out in your home. This is a beautiful addition that can be added in any room of the home, not just the kitchen. When you use LED lighting, you can wrap it around specific areas, put it under the cupboards to create an under-glow effect or even wrap it around the top of the wall. There are lights out there that can change dimness, come with more than one direct light or even be moved to where you’d like the light to be pointed. This gives you more lighting, but also the control to change where you’d like to have the lighting directed. For extra lighting in a specific area, such as at a breakfast bar, hanging pendants can provide that pop of color and light that you want. This is a great way to also make the kitchen look more modern and updated. These lights are currently a favorite for many homeowners seeking more lighting in their kitchens, or even in their bathrooms. Find a handyman in your area that can help with all the lighting that you’d like to have done. They are knowledgeable in being able to install lighting in a room. Fill out our form below or give us a call and Contractors Today can get you in touch with handymen working in your area.